SPECIAL: Limited availability at this prestigious community! Tons of living space plus your own personal parking garage! Ask how to save almost $300 on your deposit! 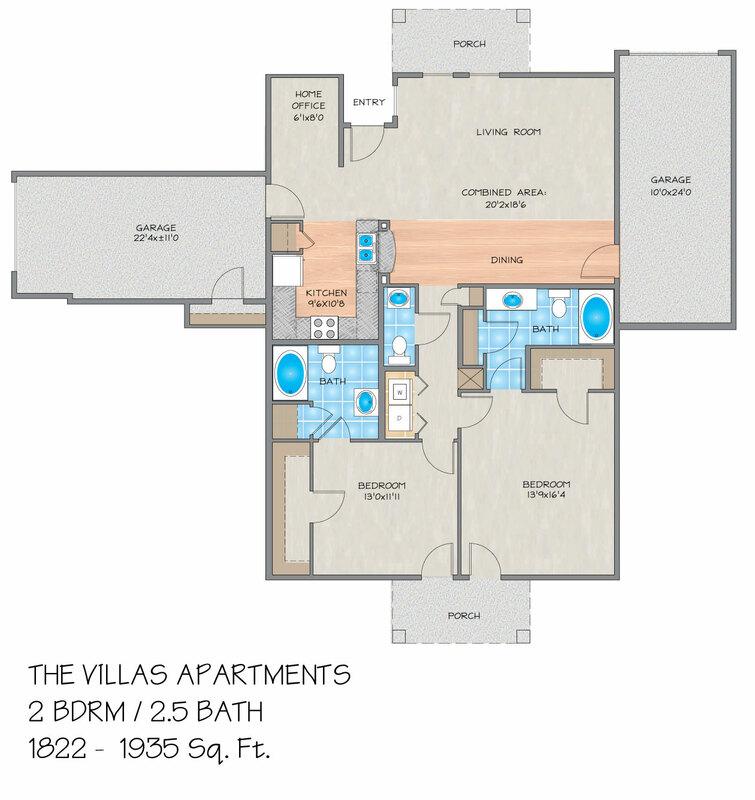 Please send me more information about The Villas at Laketown Apartments. The Villas at Laketown is a prestigious community located in an esteemed area of Kenner, LA. Offering the space of a private home with a host of a luxury amenities, these large townhomes feature unparalleled amenities like no other. This gated community welcomes you home to open floor plans, personal intrusion alarms, wood burning fireplaces, and classic finishes. In addition to these amenities, all townhomes offer one or two car attached garages. 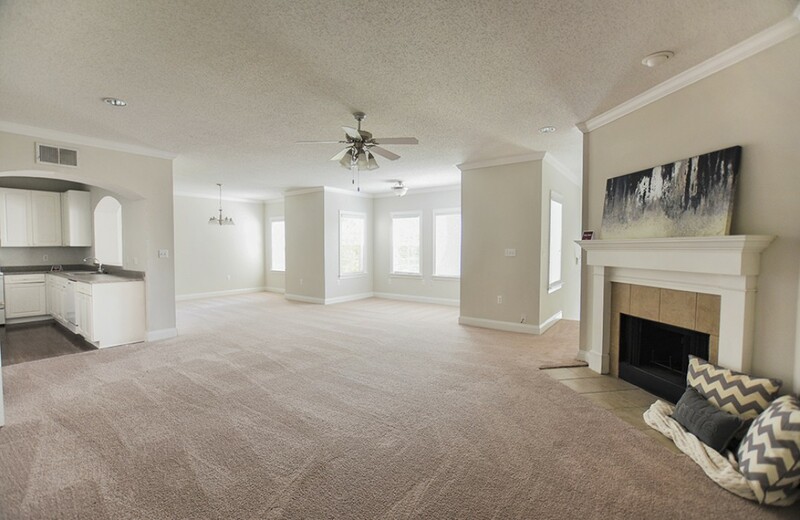 The Villas at Laketown is a superior property that is located in North Kenner on Joe Yenni Boulevard, adjacent to Gabriel, a prominent lakefront community. It's minutes from Chateau Country Club, The Esplanade Shopping Center and Louis Armstrong International airport. When choosing your next home, The Villas at Laketown will exceed your expectations. 1 Pet (total maximum weight 40 pounds full grown): $800 deposit of which $100 is non-refundable. 2 Pets (maximum total weight, of both pets combined, 40 pounds full grown): $800 deposit of which $100 is non-refundable. Excellent experience living at the Villas at Laketown. Very quiet and tucked away, yet easy access to shopping and major roads. Front office staff, maintenance and other residents made living here simple, easy and accommodating. Not to mention the upkeep of the ground, well maintained. This has been my only five star encounter as a renter in Louisiana. Keep up the good work! Living at the Villas is like living on vacation! The staff is always friendly & ready to help in any way they can. Soon we will be moving on but we have really enjoyed our stay here while it lasted! I have lived here for 2 years. The apartment was spacious and the office staff are nice, but the maintenance is horrible. Things break and the repairs are cheap. When I first moved in, there was already a broken window blind. It took a year of constant pestering on my part before it was finally replaced. There's a constant water damage spot that has been there ever since I moved in. After a heavy storm, it gets to the point that the ceiling sags and the paint peels off. Maintenance will only come in and cover it up. Now there is a leaking issue in the kitchen as well due to the upstairs AC. I have had to call maintenance out twice. All that was done was the drainage line was cleared up. Also, the anchoring for the closet hanging rod is not very good. The rod fell out of the wall and it took over a week before someone showed up to even look at it. Immediately after the first repair, the rod was falling again, not even 8 hours later. Then it took a few more days before someone showed up again. For the price that is paid for this place, the maintenance is sub par. Also, it is an inconvenience to have to go to another property to have amenities, such as a pool. The toilet flush valve in my 2nd bathroom broke and I called in to report the problem. Parts were ordered and the valve was changed out the day after the parts were received. Also lost power and had trouble opening garage door. Put maintenance request in online once power came back on and Maintenance man showed up that day to go over how to open the garage door when power is lost. All in all I have been very happy with getting maintenance orders input and resolved quickly. Good group of people who really seem to care about getting things resolved. 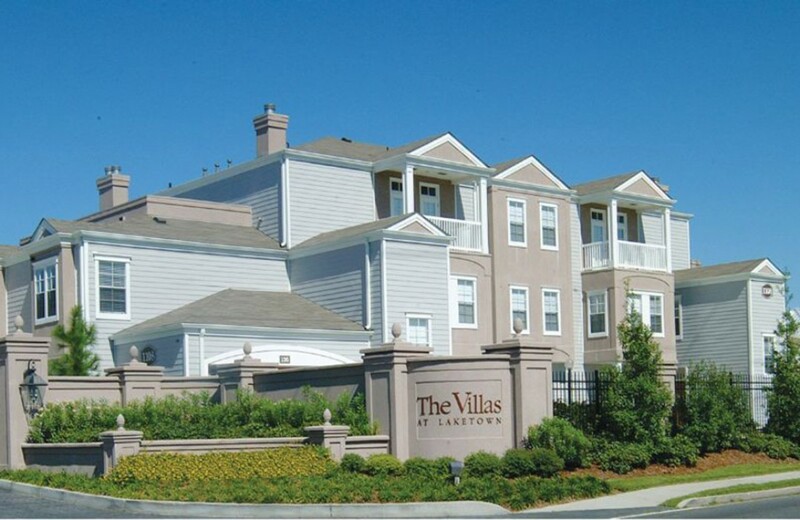 6/30/2015 update: If you are looking for an apartment with GREAT management - look into the Villa's at Laketown. Very quiet and private. Apartments are very spacious and well appointed. I looked for ever and lived at a place that was 2/3rds of what I pay here. But it is WELL worth it. I have a 1 bedroom apartment that only shares one common wall. No one below me or above me or on 3 sides. It is like living in a duplex with all the conveniences of the best management in the area. The staff is so friendly positive and professional. I have had just a few normal issues as in any living space, but here it was fixed immediately and with a followup call to make sure I was satisfied. Neighbors are great! Well I'm sorry to say I'm leaving the Villas only because I'm moving out of the area. I have really enjoyed living here and feel I'm leaving a home and not an apartment. Great job to all the staff at the office and maintenance. Miss you all! The Villas is a nice, quite, and relaxing place to live. The staff responds quickly to any questions, concerns, or maintenance problems that you may have. Great location near restaurants, grocery stores, entertainment, etc. I would definitely recommend the Villas as a place to live. 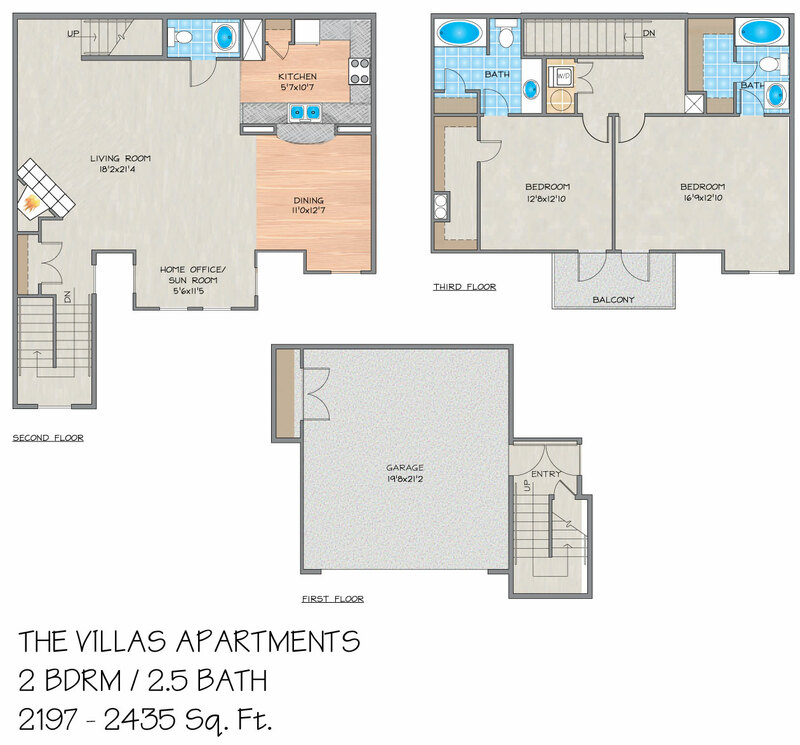 The Villas at Laketown have the most space of any apartment complex in the New Orleans area. The location is great and the area is safe and secure. I have lived here since 2005 and have no problems. The staff has always been courteous and respond quickly to any issues. I like living in a gated community that includes attached garages for each unit. The floor plans are great - lots of storage and having bedrooms on separate floor makes it feel more like a home. I would recommend the Villas to anyone. The only thing better would be a brand new complex which there is a shortage of in the New Orleans area. Truly enjoy living at The Villas. It is a very clean and a safe place to live. 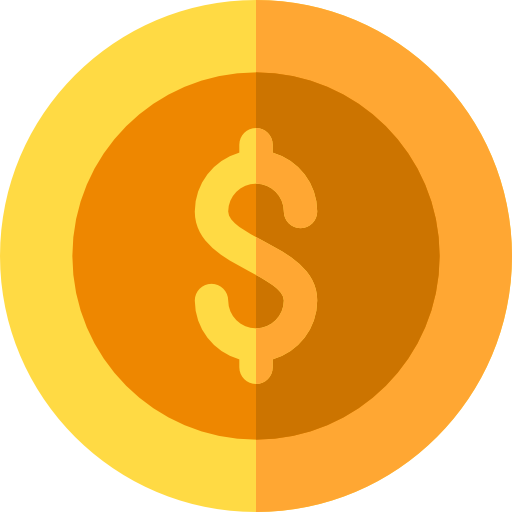 The staff is very helpful and the maintenance is quick to respond. Would recommend it to everyone. We relocated to the area 3 years ago, and after looking at numerous houses for rent, found the Villas. We love living here... it is close by to everything we need, and yet once you come onto the property, you feel like you are in a small community. The staff is friendly and very helpful. My husband drove by the Villas, scheduled an appointment and rented it knowing that I would love it. I did not see it until the day we moved in, and he was right. We relocated to the area from another state, downsizing at the same time, and have absolutely loved living at the Villas. It is a small community of neighbors in a quiet area. The staff responds quickly to things that need to be tended to, with follow up to be sure we are happy. The location is great - a little removed from everything, yet close by to shopping, and easy access to the highway. Love living at The Villas. It is like a home away from home. I feel very safe with the security system that The Villas offers. It's in a great location to restaurants , shopping, schools and interstates. Would definitely share this location with others. I searched a ton to find a place when we had to relocate to New Orleans. Finding a place with a sense of security, a garage, some privacy and enough space was very challenging. I came across the Villas several months before actual renting it. The staff not only accommodated us and expedited the process very efficiently, they remembered me from my visit there several months before. They responded to every email & phone call very fast with answers I needed. We had lived in a rather loud area prior so we are very happy to have some peace & quiet. I also like having the spacious closets as any woman would. I would highly recommend the Villas at Laketown. They are also very affordable!! I looked and looked for a place when I relocated to New Orleans back in February of 2014. I had been living in a 5 bedroom home w/a 2 car garage in New Mexico and needed something with significant square footage as I work from home. I thought I was going to have to rent a single family home (with lawn and maintenance responsibilities), but I found the perfect place here at the Villas at Laketown. I have a 2 car garage, which is great for my car + storage. I love the vaulted ceilings in my bedroom and office upstairs. I also love having my washer/dryer on the same floor as my bedroom. The staff here is great - requests are accommodated promptly and everyone is very friendly! Last night we had a Wine & Cheese event, which gave us all a chance to get to know our neighbors better. We are a small community of town homes, which really appealed to me when I was looking, and I feel very secure here. We are close to everything - shopping, grocery stores, the airport and the convenience of the interstate close by. Lots of natural light in my apartment, makes working at home very cheerful. Overall, this is an awesome place to live! We absolutely love living here! A short commute to a local mall, grocery store, plenty of restaurants and parks. We have a young son so we most of all enjoy the peaceful neighborhood. We never hear anything loud outdoors. The staff is friendly and are always quick to accommodate to our needs. Just note that there isn't a swimming pool or any amenities within this neighborhood. You are welcome to use another nearby. We absolutely love living at The Villas. The staff is quick to accommodate to our needs and always pick up our calls. The rooms and walk in closets are extremely spacious compared to the average. We enjoy staying in because of how peaceful the neighborhood is. The Villas is also pet friendly and provide bags for picking up after your dog. Overall, this is the best place we've rented thus far. Me and my wife have been living at The Villas for going on 3 years now. The location is very conveniently located with only a 7 minute drive to the highway and even a shorter distance all the shopping needs you would want/need. The community is nice and quite with friendly neighbors and the office staff are helpful with handling maintenance needs. Would definitely recommend The Villas as a place to live.